Home Blog Read Write Inc.
Read Write Inc. Phonics (also known as Ruth Miskin Literacy or RML) is a lively phonic programme that gets children reading and writing quickly! Be sure to follow the link to learn more about RML, in a dedicated parents' site. Learning to read is the most important thing your child will learn. It opens the door to all learning, so we put as much energy as we possibly can into making sure that every child learns to read as quickly as possible. At Lodge Primary School we also want your child to love reading and to want to read for themselves. A love of books is vital to the enjoyment of reading. We begin by teaching phonics in Reception using the synthetics programme RML (Read Write Inc. Phonics). It is a lively and rigorous programme devised by a former Head Teacher, Ruth Miskin. Children learn how to read the sounds (phonemes) in words and how these sounds can be written down (graphemes). At Lodge Primary School we teach the children simple ways of remembering these sounds and letters using pictures and picture phrases. The children then are introduced to a character called Fred who encourages the children to blend using pure sounds. Eg. C-a-t = cat, Ch-i-p = Chip, l-igh- t = light. The children rehearse reading and spelling red words, which the children learn by sight recognition such as ‘said’, ‘once’, ‘where’. Identifying that it has a ‘grotty’ grapheme. As the children progress through Reception and Key Stage One, the phonemes become more complex and can contain two letters which are called ‘digraphs’ (sh, ch, th, ay, ar, oo) or three letters which are called ‘trigraphs’ (air, igh, ear, ure). The children learn how to segment and blend these sounds in words in both reading and writing.The children are grouped by reading ability across Reception and Key Stage One. The children practise their reading with books that match the phonics and the red words they know. The child’s reading book will contain tricky words. These are words that a child should know by sight as the usually do not blend together correctly, or include tricky sounds that may confuse the child. Mastering the sounds is when the children start believing that they can read and this is when their confidence flies! To support your child’s progression in reading, please encourage your child to sound out the letters in words and then to push the sounds together to make a whole word. Encourage your child to say the pure sounds. You can hear the sounds correctly by searching YouTube for ‘Read Write Inc. phonemes pronunciation guide’. Enjoy the experience of sharing books and stories with your child, exploring new words and their meaning. With regular headlines in the press about cyber-bullying, the dangers of inappropriate content and the questionable safety of social media, it’s little wonder that E-safety is quite rightly becoming a growing priority. So, how do you maintain the balance between giving children freedom and maintaining control? How do you enable children to take full advantage of the technology to support learning and prepare them for the real world while providing a safe environment? Where does your responsibility start and end? And how can you ensure e-safety? It can feel like a bit of a minefield, but don’t panic, we are here to help. 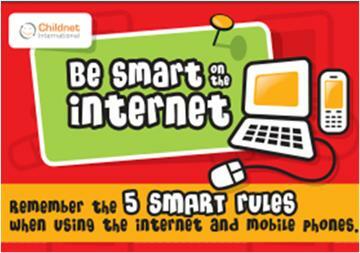 These succinct tips aim to provide you with some clarity and practical advice on how to approach e-safety.